From what I have read online, it seems like Dubai has a ton of great schools, however, this one is always at the top of the list! The American School of Dubai has been around since 1966 and is said to be one of the most well established schools in the region. I love it when a school is this transparent! Usually I have to hunt all over the web to get my questions answered, but this school has a page for salary and benefits and actually lists information on it! On the school website it says there 1,660 K1 – Grade 12 students. This website says it serves students from 55 different countries. It sounds like there is an excellent mix of nationalities here! The State.gov website says that the average class size is 18-20 students which is average for a school this size. I feel like I have to take off a point here friends. I looked all over their website and found no mention of a 1:1 program, iPad carts, multiple computer labs, several computers in the classroom, etc. There was an IT paragraph on the elementary curriculum page but it said something about, “integrating technology into the curriculum” which is very vague. I would need more information to get a point here folks! They have an excellent retirement program here. ASD uses a Raymond James retirement program and contributes “18.2% of the base salary” into the program. From what I understand, teachers must contribute 11.2% of base salary to get the employer match. That means that every year you will save nearly 30% of your base salary toward retirement- fantastic! The starting salary at ASD is $35-45K with the maximum salary going up to $58K (tax free). If you fall on the lower end of the spectrum don’t fret because there is also an additional Cost of Living adjustment for “$8,732-$10,370 per year for a single teacher”. One thing I was surprised to see is that while medical AND dental insurance is included, employees need to pay 20% (which for a single is about $78 per month). There is about an $8000 settling in allowance. Also, there are arrival AND departure shipping allowances (not nearly enough schools provide departure allowances). Because housing, airfare, shipping, COL, and a settling in allowance is all provided it makes up for having to pay $940 per year toward insurance. I have a few friends who live in Dubai and a few more friends who have lived or visited there previously, so Dubai has been on my radar for a long time. All of the people I have talked to have said that it is the most liberal place in the Middle East and that Western women feel very comfortable there (nearly all of the people I have talked to were women). Gasoline is cheap, drivers licenses and cars are easy to come by, and there are many adventures to be had (desert safari anyone?)! Also, Dubai boasts the world’s tallest building (the Burj Khalifa), and the world’s only seven star hotel (the Burj Al Arab). If you are looking for something very…original, you can try out the world’s first indoor ski resort at Ski Dubai! Check out the Dubai Guide for more info. There is a weekly Cuban salsa event every Friday according to this website. Then there is a weekly Tuesday salsa night at a Spanish restaurant through this Meetup group. Then there are various other salsa classes around town, but at least Dubai has two weekly events- point! The state.gov website says that there are 157 full time faculty members. With this many teachers you are bound to have a good mix of teachers. 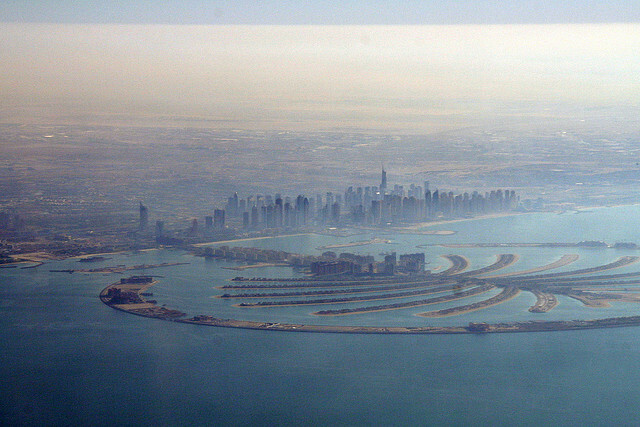 Dubai is a major world city with immigrants making up about 80% of the population. This means you can find virtually any food you might want…except that pork and alcohol can be pricy and/or hard to find. Also, you can use a site like this, to have food delivered to your house! Take a look here for Tripadvisor’s top restaurants in Dubai. Please comment! Have you been to Dubai? Would you want to work there? Have you or someone you know worked at the American School of Dubai? Can you add any info to what I’ve listed above? 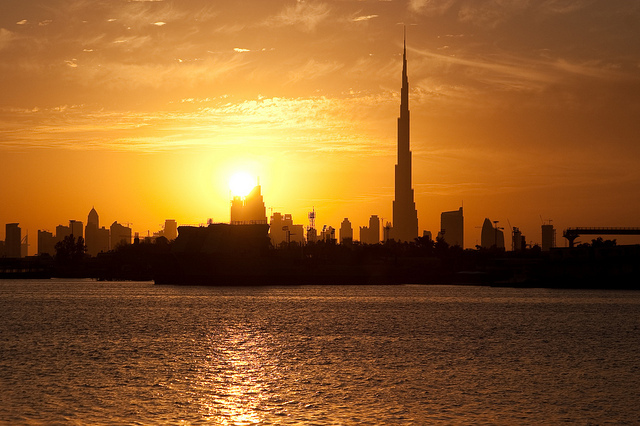 I have been to Dubai twice….once for a vacation, the second time to visit my sis who was living there with her three kids….two of them went to the American school…..she was very happy with the school! Looks like a great place to work too! Other teachers who have taught in Dubai have all said good things about the school. I’m glad the mommas are on board with it too! I live here, picking a school is a nightmare, sounds like a great choice. I have heard that there are many schools in Dubai, and I’ve never been to any of them, nor do I have children. So I can only say that I would love to work at this school one day. I am sure there are a lot of other great schools in the area too- GEMS comes to mind. Good luck on your search for the perfect school! You make me want to go there! It sounds great! There are sooo many schools I would love to work at one day! This is why I’m an international teacher for life! I taught in Bahrain at a Girls school a few years ago. Usually the British and US International schools are the most organised and offer great benefits. Are you hoping to teach there soon? I would love to come teach in Europe one day! I’m content to continue teaching at the international school I’m currently at in Venezuela for the next couple of school years (as long as it doesn’t get too crazy). So far I’ve only ever taught at US international schools, but I have a friend who’s American and has managed to snag a job at a British school in Bogota. It never occurred to me to work at a British/Canadian/other type of international school as an American until I heard that he had done it! I was just in Colombia for about a week during Semana Santa and didn’t have any problems. I have four friends who teach at various schools in Bogota and Medellin and they all love their lives. You should give Colombia a look if you will go back overseas to teach! I wrote about the American International School of Johannesburg in December! One day I plan on writing a Wishful Wednesday post about the school in Cape Town because South Africa is definitely a place I want to be. I would love to hear how you like the school in Jo’burg! Ha! Have left you a message on that post!